I have a confession. I fell off the Whole30 while at Blissdom last weekend. It was either eat grains or chew my arm off. A little dramatic, yes, but since I left all of my Whole30 food at home, I decided starving to death wasn’t worth it. Not long after eating grains (and the sugar that comes in grains), I felt horribly bloated. I also had a brain fog that had nothing to do with lack of sleep; in fact, Cam and I slept just fine. By the time I got home on Saturday, I was extremely grumpy. On Sunday, I was still bloated and in a horrible mood. I have not felt this bad in several weeks. Are the grains to blame? I’m not sure, but I think I’m on to something here. I have restarted my Whole30 Challenge as of this Monday. Actually, I started on Sunday evening with a clean supper, but I’m not counting it. After Monday’s breakfast, I already felt better. While I’m not sure exactly what caused me to feel the way I felt, I do know that, for me, there is something to this Whole30. Also of note is when I started back on it, the effects were almost immediate; I did not have the heavy fullness that accompanied my meals, and my mind felt more clear. I was also a lot more calm; I was less easily agitated. So why would I subject myself to these restrictions in the first place? It all goes back to Cam. As you know, my boy is a champion nurser. He has also had tummy troubles from day one. I resisted changing my diet for a long time (too long, really), and at the urging of friends, I decided to cut dairy to see if that helped his tummy. Nothing else had helped him, and this was my last resort. I had been off dairy for a few days when I decided to jump in with both feet and drop grains and legumes as well. Might as well, right? Have a plan. Things will come up that you are not expecting. Last week was insane, and I spent 4 out of 5 days on the road. And they were not short trips or errands. To make a long story short, my Mac stopped working again, and I made a 3-hour round-trip to the Apple store (for the third time). They didn’t send if off like I asked, so I had to make a fourth trip to pick it up on Monday. Tuesday was CC, and when I got home, I turned on my computer to find it was still dead. The next day, per Apple Care’s advice, I made a new 3-hour round-trip to a certified Apple repair shop. My point in mentioning all of this? I absolutely did not plan to spend all of that time on the road. Have a plan for those “just-in-case” times; have food ready to throw in a cooler at a moment’s notice so you don’t have to settle. In addition to having a plan; you need to plan a menu. Yes. 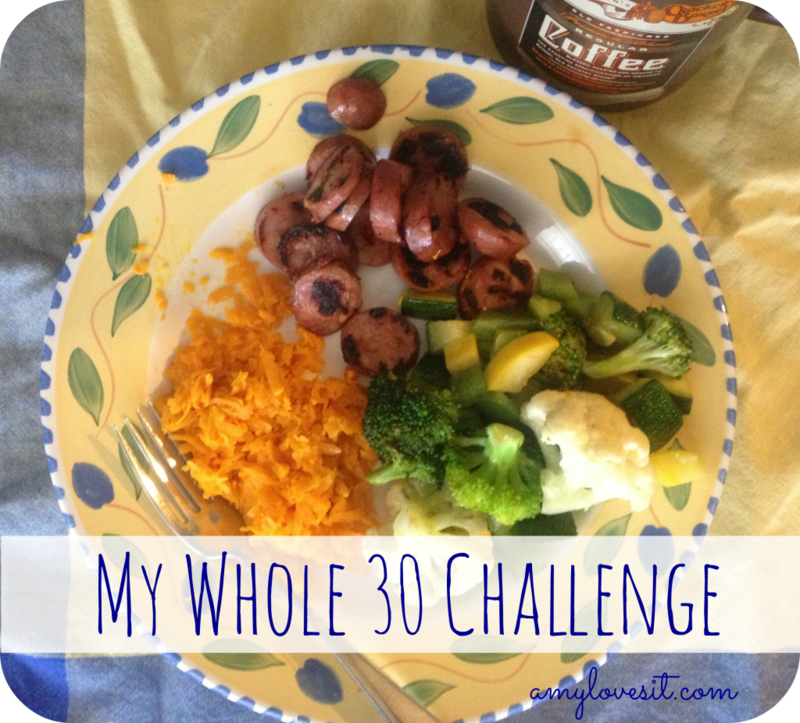 Even if you hate menu planning, it is essential to a successful Whole30 Challenge. This is not something you can fly by the seat of your pants and do successfully; trust me on this one! I would definitely read the book that goes along with the program, It Starts with Food. 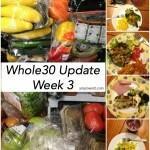 This will give you an idea of the reasons behind the Whole30 Challenge. It is also a great encouragement to not give up. Is this just the latest trend in “fashionable diets”? Maybe it is. It certainly isn’t for the faint of heart, and I don’t think that it is for everyone. I also wouldn’t personally label it as a “diet,” but more of a “way of eating.” That being said, my “failure” was a huge eye-opener for me; I do have some food issues that need to be addressed, and the Whole30 seems to be a good way for me to investigate them further. Share the post "My Whole30 Challenge"
Whole foods are the best, wish I could stick to it.